Dr. Eric Martin was born and raised in Owensboro, Kentucky. 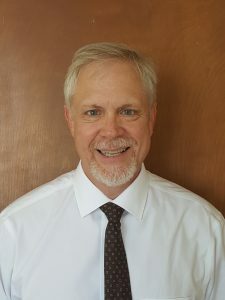 He graduated from Owensboro High School, received his bachelor’s degree from Kentucky Wesleyan College and earned his doctorate from New York Chiropractic College. Dr. Eric Martin has been in practice since 1989 and is a member of state and national chiropractic associations. He has given numerous health care presentations and has been published in Dynamic Chiropractic, a national chiropractic journal. Dr. Martin maintains a busy practice that provides his patients with the latest and most cost-effective natural methods of pain relief, spinal corrections and health care. Dr. Eric Martin is licensed to practice chiropractic care in Kentucky, Ohio and New Jersey.